The event, organized with the support of the office of the High Commissioner for Seychelles in Sri Lanka, Conrad Mederic, has been able to reach out to a strong pool of potential agents. The recent event followed a similar initiative organised by office of the Seychelles High Commission in Sri Lanka in September 2018, which was supported by the STB. The 2018 event having created some awareness of the destination on the Sri Lankan market, this year’s STB workshop continued the movement in the positioning the Seychelles on the territory. The STB team facilitating the event consisted of Mrs Amia Jovanovic–Desir, the Director for India, Australia and South East Asia and Mrs Elsie Sinon, Senior Marketing Executive for these territories both from Headquarters. In his opening remarks at the launch of the event, High Commissioner Conrad Mederic, stated Seychelles being a new destination for the Sri Lankan agents, the market offers various possibilities for potential travel agencies and tour operators. “It is my high regard that both nations have great potentials in increasing outbound travel and tourism between Sri Lanka and Seychelles. Not only can our tourism sector benefit from such general cooperation but as neighbors residing in the same oceanic waters, it should be in our interest to explore each other’s culture,” said High Commissioner Conrad Mederic. Mrs. Jovanovic-Desir went methodically through the presentation, providing the audience with an overview of the key aspects of the destination. Her presentation focused on the insights of the island-hoping concept, the strong characteristics of the Seychelles, emphasizing on the diverse attractions and hotel range for the different income brackets for all the travel market segments and finally explaining the particularities of our destination compared to our close competitors. She explained that the objective of the workshop is to provide the Sri Lankan partners with a better understanding of how to sell Seychelles and eliminating the mind-set that Seychelles is a difficult destination to sell. 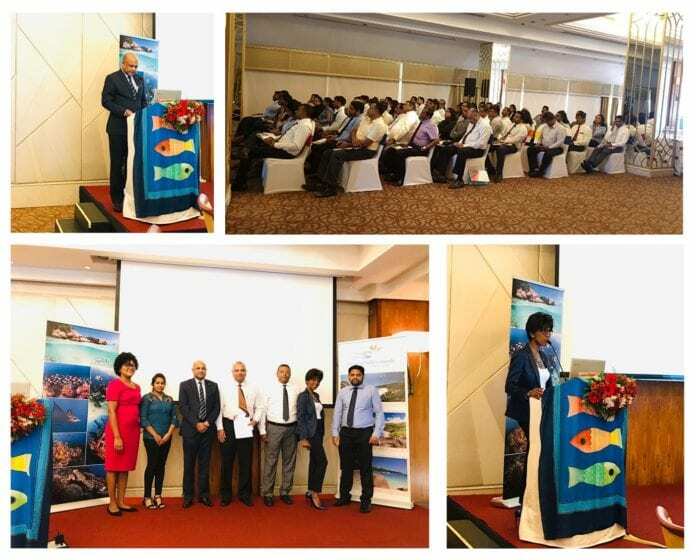 The event also provided a platform for Sri Lankan Airline, the sole airline serving the market with three flights weekly, to give a short overview of their strategy for the Seychelles. Through his presentation Mr. Pradeep Durairaj, Sri Lankan Airline Manager of Commercial Worldwide Sales and Distribution, gave insights to the trade on the benefits of tapping into the market. Most of the representatives present voiced out that Seychelles is a new destination for them and they have expressed the strong desire to add it to their destination list after they have further enriched their knowledge. Commenting on the feedback from the trade partners, Mrs. Elsie Sinon, stated that the workshop has been an excellent starting point to entice Sri Lankan partners to broaden their knowledge of the destination. To conclude the day, a prize giving ceremony was organised to recognise the agents who participated in the first workshop in 2018. STB offered the lucky winner complimentary accommodation in Seychelles for one person combined with other services, whilst Sri Lankan Airlines sponsored one return ticket. The other two lucky agents were given a bottle of Takamaka Rum. Moreover, each representative received a gift with the Seychelles’ brand as well as the general promotional brochures including a copy of the list of the entire local, Destination Management Companies, (DMC) in Seychelles. After the workshop, the agents were welcomed to a networking event in which they had the pleasure to sample a small cocktail made from local rum from Seychelles and banana chips, followed by soft music’s of some main local artist. Mrs. Jovanovic-Desir expressed her satisfaction on the positive outcome of the first destination workshop. She pointed that most importantly through the activity STB has managed to train over 70 agents and gave them some key tools to push for sales and demand towards Seychelles. 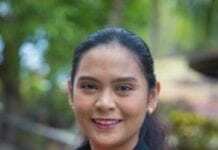 Ms Nithitha Subramanian, Assistant Tour Manager – Outbound, of Travel Data Tours & Travels and participant to the event confirmed that the STB team has brought Seychelles close to them and through the presentation, they felt that they were already in Seychelles. They promised that they are very enthusiastic to work with the Seychelles’ trade and to push for sales and interest. Appeal to U.S. Travel and Tourism Industry professionals: For god's sake, walk, crawl, run, hike, drive to the polls and vote democratic.